While our play objects for infants at first glance, seem quite simple- an astute observer soon discovers the magic and discovery passive toys make for active babies. “Aren’t the babies bored?” one prospective parent innocently asked during an Open House. Glancing at the Infant Solarium, I could see how RIE play objects might look inanimate when not in a child’s hands. I assured him that when adults trust a child to be an initiator, explorer and constructor of her own knowledge- the baby is not bored. A bored child, rather, has inadvertently become dependent on toys designed to entertain or on adults to shake, rattle and roll for her. Both can rob a child of her own discovery. 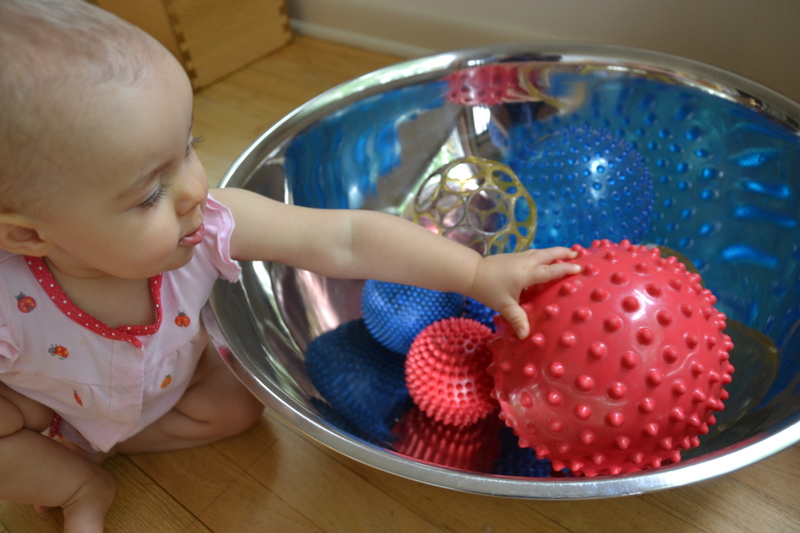 An active baby engaged in simple infant toys makes things happen. The link below affords a few minute observation of a not yet mobile child at play with simple objects. 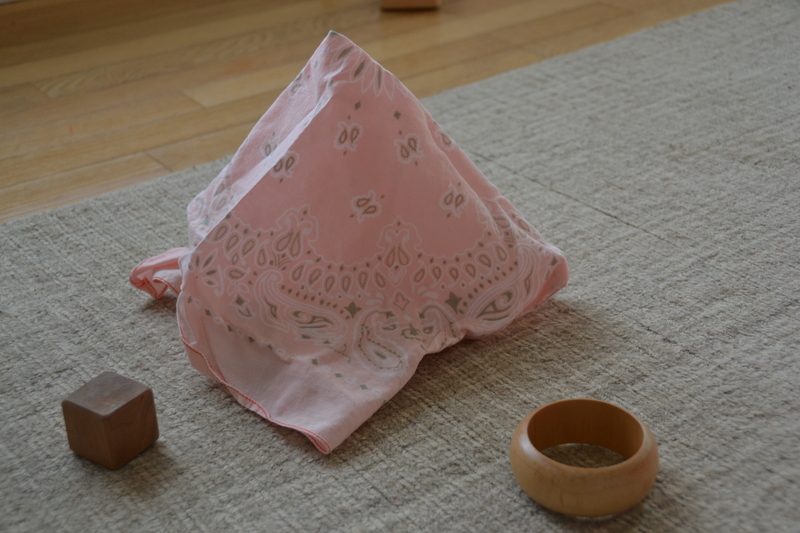 Non-Mobile Infant Simple Toys from MMP School on Vimeo. How important is a child’s experimentation on these open-ended play objects? A baby’s intimate understanding of simple toys and his continually developing ability to manipulate these objects in increasingly complex ways means, “…his actions look much less magical and are much more effective. 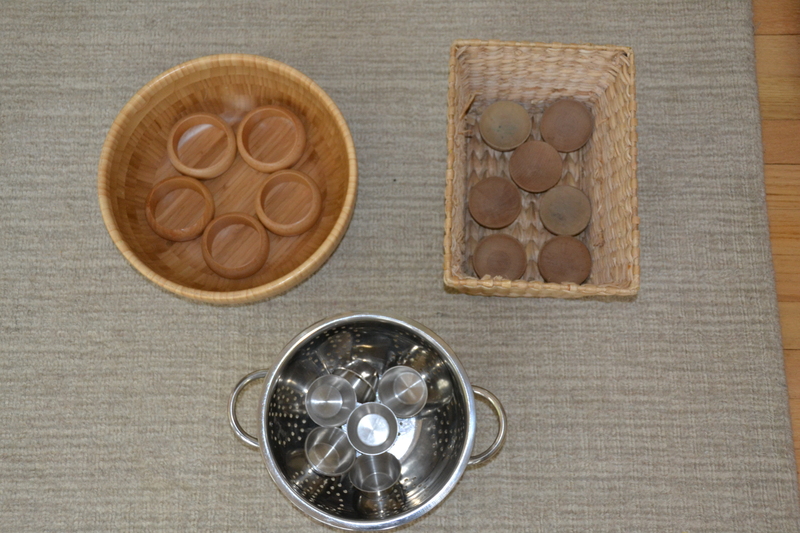 This allows (the child) to really plan and scheme and use physical objects as tools. By the time babies are eighteen months old, they understand quite complicated things about how objects affect each other.” (Gopnik, Meltzoff, Kuly; The Scientist in the Crib, p77). It appears that when it comes to infant toys and infant learning, the experts agree- Less is More. Graduation season turns our thoughts on those members of our community who will be leaving our daily school lives, our Kindergarteners. The group, many of whom began their relationships together at infancy, are six years old and considered elders in a school that focuses on the first developmental plane. As their journey with us closes, we reflect back on the moments we shared. You started your life with us- what an honor and a pleasure. Thank you! The memories, we trust, will last a lifetime.